This publication supports an association's efforts to become a high performance association. In order to meet members high expectations and deliver on the expectations, it is essential that an association applies a culture of continuous improvement. The tool supports continuous improvement initiatives. it is base on key association management competencies and is used to measure best practices to current association activity, and to identify what is going well, and to recognize what areas need improvement or new initiative which need to be put in place. Practices identified are common to associations and other types of no-tor-profits. The publication comes with a CD that allows key files to be filled in and printed. Associations can use the tool to establish priorities in terms of organizational improvements. The tool can be completed as a self-evaluation by an individual or a team. Boards looking to recruit a Chief Staff Officer (CSO) may wish to use the tool as part of the assessment to determine competencies and priorities for the new CSO and they may wish to use it as part of an evaluation process. Boards can use the tool to demonstrate accountability to the membership by reporting on improvements required and made. This sends a messages that the Board is making the best use of members' money and using better practices. Completion of the evaluation prior to strategic or operational planning will help clarify the current status of an organization. At the foundation of all health organizations, you will find: principles of governance; planning and strategy; and policy and decision-making. It is essential for a health manager to effectively learn and practice these skills. A wide range of steps, sample policies and checklists are available for daily use in this toolbox. There are guidelines and examples addressing challenges faced and common questions posed by health managers. For example, how do you hold effective meetings with board members and staff? How can you assess your community’s health needs? How do you conduct a SWOT analysis? How can you integrate culture into health service delivery? If you have any of these questions, this toolbox is for you. With an easy-to-apply format, it is highly practical to put our tools and best practices to use at your health organization. We hope it helps you to continue to make a positive impact in your communities. For many health organizations across Canada, managing human resources is a challenge. This toolbox will shed light on important functions of human resource management including: succession planning, setting up recruitment interviews, and writing job descriptions. This toolbox also contains valuable information about health programming and support services; with a focus on key areas such as planning, reporting and evaluation. A variety of guidelines, charts and checklists have been streamlined for your use in this toolbox. You may have questions such as: how do you conduct an interview? How do you manage change? What is the best way to prepare and present materials to health leadership? How do you develop a funding proposal? Our variety of tools will answer these questions among many others. With an easy-to-apply format, this toolbox will help you with your day-to-day duties as a health manager. We hope it helps you to continue to make a positive impact in your communities. When accessing healthcare, First Nations communities encounter complex jurisdictions and systems; leading to gaps in healthcare which affect health outcomes. Through coordinating an approach in the structure and delivery of health services, integration across jurisdictions and systems can be achieved. It is the role of the health manager to collaborate and forge partnerships with federal and provincial/territorial governments, regional health authorities, and other service providers. This will encourage seamless (across jurisdictions), relevant and culturally sensitive health service delivery. This toolbox will help health managers through the key phases of health integration: understanding, planning, implementing and evaluating. A selection of concepts, activities and concise tools have been gathered for your use in this toolbox. Questions that are addressed include: how do you conduct a needs assessment (with an integration lens)? What are the steps to conduct a benchmarking process? How do you create a community engagement plan? How do you create a MOU for a health integration initiative? 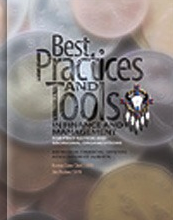 This toolbox outlines best practices for these processes among others. With an easy-to-apply format, this toolbox will help you with health integration concepts and execution. We hope it helps you to continue to make a positive impact in your communities. The FNHMA is excited to reveal our first textbook publication. 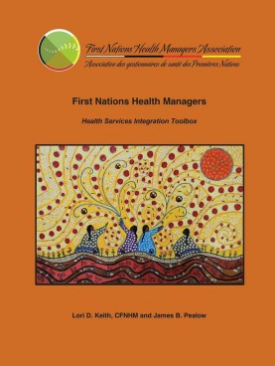 This textbook is the perfect complement to the Certified First Nations Health Manager Program (CFNHMP), and is a compilation of both professional and personal perspectives. Although its content is not intended to be comprehensive, there is a wealth of expertise from a wide range of authors describing tried-and-true best practices. 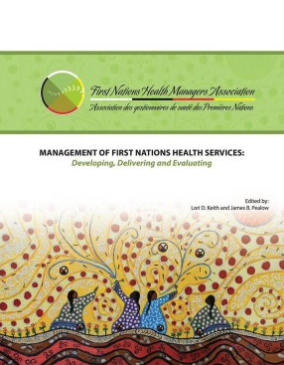 Uniquely, this textbook also directly provides First Nations voices and experiences with best practices in health management. 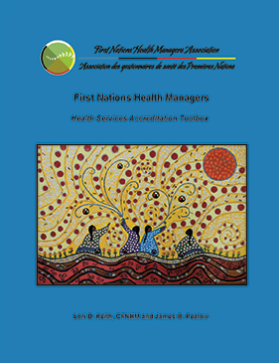 The written content encompasses the basic principles of First Nations health management, based on our ten competencies: leadership and governance; professionalism; advocacy, partnerships and relationships; human resource management; financial management and accountability; health service delivery; planning; quality improvement and assurance; communication; and cultural awareness. 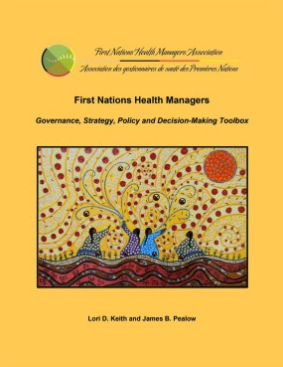 These competencies were developed to address what First Nations health managers found the most important at a grassroots level, and it is the hope of the FNHMA that the 29 chapters in this textbook will strengthen these competencies for all First Nations health managers today. This textbook will serve health directors, program managers and community health representatives alike; not only to enhance their knowledge, but to hone their skills and abilities, as well as to help them continue to drive change and build healthier communities. Health services accreditation is one of the most commonly used processes that help organizations understand how effectively they provide client care, reduce risks, make improvements, and how they can be fully accountable. Accreditation is a formal process in which organizations assess themselves to standards and identify where they need to make improvements, and also what they do well. The process improves client outcomes and helps strengthen the continuum of care. FNHMA’s Health Services Accreditation Toolbox offers concrete tools that will help organizations navigate the exciting accreditation journey. Accreditation can be a rigorous, yet rewarding process for health organizations. FNHMA’s Accreditation Toolbox was made possible by many health directors, accreditation coordinators, and accrediting bodies. The input provided has helped shape this toolbox into the publication it is by hearing their challenges, their successes and what they feel would have been helpful for them while they were going through the process of becoming accredited. Organizations are put through a three-phase process while on the journey to becoming accredited. The toolbox is structured around the phases and includes key concepts, the key activities and a variety of tools that would be helpful through the phase, and includes scenarios that can be used as learning activities. This helpful manual provides information on best practices in governance, management and accounting practices. 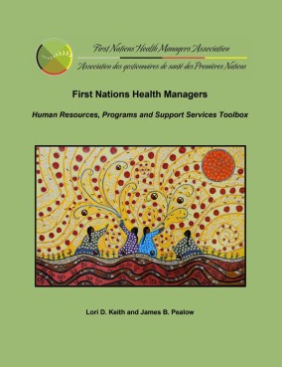 The guidebook includes many helpful templates and policies that can be adapted for use in many Aboriginal organizations or First Nations. Strategic planning and accountability type activities have been around for a long time. Individuals and organizations constantly look for new and innovative ways to improve what they do in these areas. In reality, some are more active at planning and some are more sophisticated in their approach. Strategic management has been thrust into the spotlight in the last decade as individuals and organizations realize that organizational success is often linked to results from enhanced activities in this area. Despite the success of strategic management, some organizations have yet to invest in related education and training. Some think strategic management is nothing but strategic planning. Others think they have strategic plans and accountability is being met. Others don’t realize it is part of their job. Understanding what strategic management is all about provides an opportunity to make improvements in planning and accountability activities. The private sector has slowly latched on to strategic management. Many larger organizations such as IBM, 3M, Kodak and Xerox have been active in this area for some time. The not-for-profit sector, other than some health facilities, schools and municipalities, has not taken advantage of strategic management. Some claim they do not know much about it, have no time for another fad, or know about it but cannot get around to doing something. 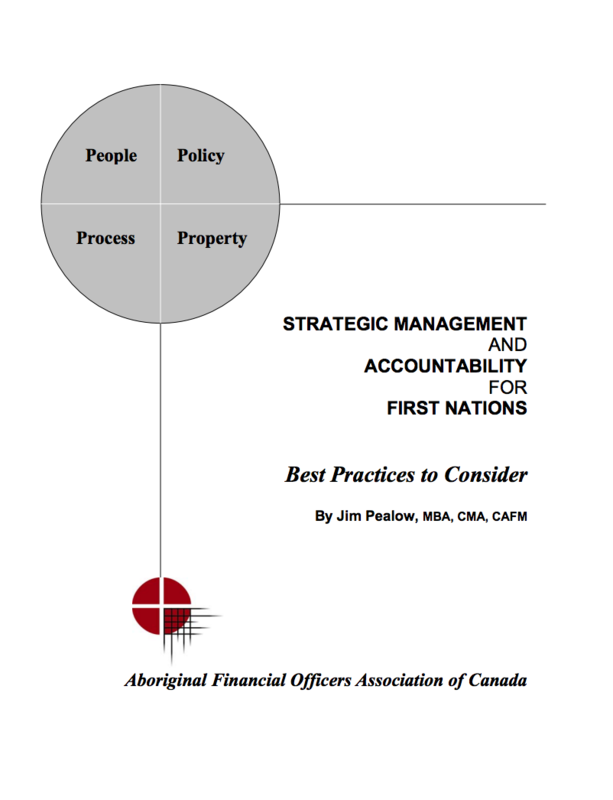 This publication will inform those in First Nations leadership positions about strategic management and accountability, and highlight some practices that will assist in improving the quality of First Nations’ activities in planning and accountability. Information is presented in five sections. The first provides an introduction and addresses the current situation. The next looks at accountability and related issues. This is followed by information on strategic management. A section of examples and best practices are presented to allow the reader to measure against and consider potential improvements. The last section includes sources of information to provide additional knowledge for those wishing to examine topics further. Individuals and organizations constantly look for new and innovative ways to improve what they do. This book will inform those in the association community about benchmarking and provide them with access to over 200 best practices that will save associations time and money, and improve the quality of association activities. The best practices in this publication cover a broad spectrum of association management issues and are based on CSAE's Association Management Competency Standards. Along with extensive information on benchmarking, best practices and performance indicators, the author deals with specific strategic and operational issues that are relevant to all types of associations and non-profit organizations. This is the reference book for today's association executive. Click here to purchase through CSAE. What is the Board's real role? What are Boards and individual members liable for? How does the Board determine priorities? What policies should the Board implement and uphold? 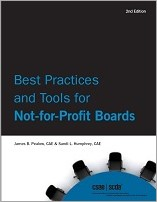 Best Practices and Tools for Not-for-Profit Boards, 2nd Edition is an essential resource for all senior association executives and volunteer leaders in Canada. The definitive source of information on leadership, latest developments, and best practices in the not-for-profit sector. The authors include the Executive Editors as well as 28 others. This book is the second edition of the first comprehensive Canadian text that covers the basics and more of association management. 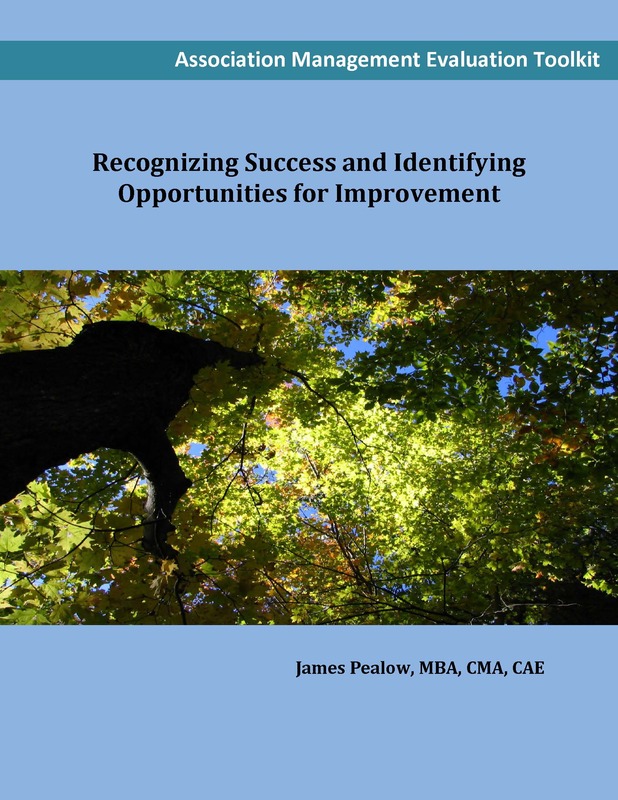 The chapters in this publication are tied to the Association Management Competency Standards adopted by the Canadian Society of Association Executives. The editors partnered with both seasoned and emerging Canadian association leaders with significant knowledge, interest, and expertise in the competency areas. These individuals have contributed valuable knowledge to this publication. The publications content is used in the courses leading to the Certified Association Executive (CAE) professional designation. The world of business affects our lives every day, and “management” will affect the lives of all of us who work for a living. 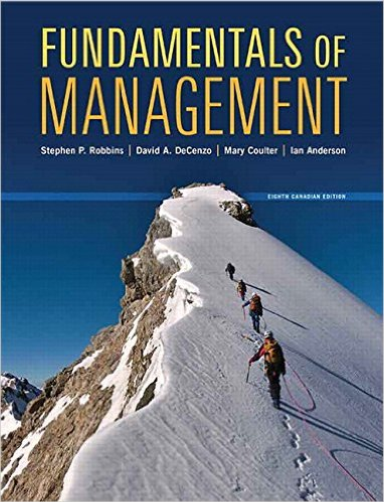 Fundamentals of Management, Eighth Canadian Edition delivers a text, supplemental materials, and online learning package that will engage students in a positive and direct manner as they build their fundamental knowledge of business in general and management in particular. In addition to viewing the material from the student perspective, our authors strove to facilitate the instructor’s use and application of the rich subject material and resources to provide a dynamic, interactive, and enjoyable classroom experience. Click here to purchase through Amazon. Jim is a key leader in the not-for-profit community, with more than 30 years of experience in industry, three levels of government, and associations. For several years, he has been contributing the popular “Learning Link” column to Association™ magazine, the official periodical of CSAE. Learning Links is a collection of 32 of Jim’s articles from the past six years, featuring innovative ideas and practical solutions applied to trends, issues, challenges and opportunities for the not-for-profit community. This publication provides a wealth of relevant and reliable information for any not-for-profit executive. In fact, several of the articles have already become part of the syllabus for the CAE® program. A how-to guide to leading and effectively managing meetings in a not-for-profit environment. It will assist volunteer leaders and staff to carry out their roles and responsibilities when conducting and participating in meetings and making decisions on behalf of the organization. This publication will help volunteer leaders and staff make decisions and understand the critical elements, policies, processes and practices required to manage and participate in successful meetings.